Don't let your lower-chest development go south! Build a thick lower chest with these seven tried-and-true training strategies. For many guys, the lower pecs are the most difficult area to fully develop. That's about to change. Not because we're the proud owners of a magical exercise that'll finally build this hard-to-grow area, but because we've developed seven chest-workout strategies which take direct aim at shallow lower pecs. To add thickness to your lower chest, start by abandoning the "one pec exercise is enough" mentality when it comes to putting together a workout. To focus on a stubborn area, it may be too late to pick your parents—but not too late to dig deep into your bag of chest-training tricks. 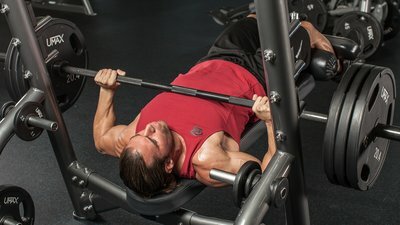 Besides adding specific lower-pec exercises, you can also manipulate your workout and boost your training intensity by adding techniques such as dropsets, rest-pause sets, or even negative reps. Addressing all of these elements is your best option to reignite muscle growth and give your lower pecs a big lift. Try these seven tips to power up your lagging lower chest. Many a chest workout has deservedly started with the bench press. When you're prioritizing a particular area, start with exercises that target that area, and do them when your energy is fresh and your strength is high. In this case, do a lower-pec move like a decline barbell press right off the bat. Do a lower-pec move like decline barbell press right off the bat. If you traditionally do declines later in your workout, you'll notice right away that you're significantly stronger when doing them first. That's the idea: Tackle the target area with weights it hasn't had to push before. Above that, don't be afraid to push heavier weights for lower reps than you normally do. If you typically do declines for sets of 10 reps, increase the weight and do sets of 6-8. Don't underestimate the impact that a novel training stimulus has on a target muscle. Who says you have to do only one lower-chest exercise per workout? It's normally a good idea to use various angles—from flat bench to incline to decline—to hit all the muscle fibers. You can also work those lower-pec fibers in different ways for better development. Try using a decline bench set to a different angle than your first decline exercise, or use a totally different decline-focused machine. Just avoid doing lower-chest exercises that closely mirror each other, such as the decline barbell press and Smith machine decline press, both of which are done on a bench at the same angle. The same is true of decline dumbbell and barbell presses when you do them at the same bench angle. Find ways to get more variation in your workout. In addition to introducing a second exercise from a different angle, train the muscle in a slightly different rep range. So, if you did the first exercise heavy for sets of 6-8, do the second with slightly lighter weights for sets of 10-12. The multiple relative intensities are great for increasing strength and size. The high cable cross-over (with the pulleys attached to the top), decline bench fly, and cable fly all target the lower pecs while eliminating contribution from the triceps. With single-joint exercises, use a slightly higher rep range than you would for presses. As with other isolation moves, these are best done at the end of your workout. Granted, there aren't a lot of "new" choices when it comes to working your lower-chest muscles, but anything you haven't done in a while sometimes counts as "new." For example, if you tend to always use the barbell, it's time to choose dumbbells. If you always use dumbbells, head to a machine and get to it! Besides changing equipment, you can also make slight adjustments to the equipment you already use. Set the decline bench a notch above or below your usual setting. Another favorite of mine is to sit sideways on the Hammer Strength decline machine. Because this machine has independent arms, you can push across your body rather than just straight out. Weighted parallel-bar dips are another great compound movement to try. To really target your chest, lean forward by bringing your feet up behind you, and allow your elbows to travel away from your sides as you come down. 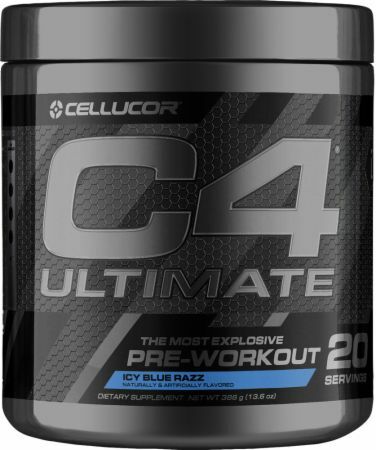 This is a strategy pro bodybuilders use because you typically have more energy and a fully stocked glycogen supply after a full day of rest and solid nutrition. If you do a chest-muscle workout in the middle of your training week, however, make sure you don't train delts or triceps the day before. Your shoulders and arms need to be fully rested. Training to failure is your first step to building muscle, but it's when you train past failure for 1-2 sets of several exercises that you can push into the growth zone. There are many techniques like this to increase intensity. Here are four great ones! Forced reps: Ask your workout partner to help you lift the weight after you reach muscle failure. With your arms rested for a moment, you may be able to do a few more reps. Heavy rest-pause: Choose a weight at which you can do just 6 reps (your 6-rep max)—then do only 3 reps. Rest no longer than 20 seconds, then do 3 more reps. Alternate this work/rest sequence for five cycles and you'll end up doing 15 reps with your 6-rep max, an impressive growth-producing stimulus. Choose an exercise that allows you to quickly get into position, like a machine chest press. Negatives: Once you reach failure, instead of ending your set, have your partner help you lift the weight, then take 5 seconds to lower the weight on your own. Do as many reps as you can until you can no longer hold the eccentric contraction for 5 seconds. Dropsets: Once you reach muscle failure, immediately reduce the poundage by roughly 25 percent and continue repping to failure. You can even do this a second time when you hit muscle failure again. Here's a pec finishing move I learned in Rio de Janeiro many years ago from a trainer named Tucano. I swear the guys down there don't know physical limits—and it shows. Do unweighted parallel-bar dips to finish your chest workout. Start at the top, arms extended, but not locked out. Torch your pecs—and your arms—by taking a full 10 seconds to lower yourself, counting slowly. Instead of pressing back up, place your foot on the apparatus and "walk" your way back to full arm extension, pushing off the footplate to raise yourself. Immediately do another 10-second negative and again walk back up to the top. Controlling the speed of the descent gets increasingly more difficult; your set ends once you can no longer do 10 reps. By then, you'll have achieved the lower-pec pump of your life.